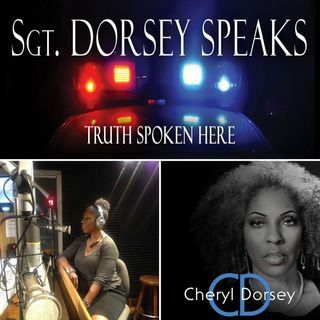 An acclaimed author and social justice advocate, Retired Los Angeles Police Department Sergeant Cheryl Dorsey has dedicated her life to serving and protecting all citizens with procedural justice and to assist communities in sorting out the truth about legal and necessary law enforcement conduct. She does so with a level of credibility that is effective, relevant and irrefutable. Her desire is to ensure that ... See More every person who has an encounter with the police has the requisite skills and knowledge to safely navigate the experience. Staying alive is the ultimate goal. As such, she is a highly sought police expert on significant criminal justice issues making national headlines. Her unique and candid commentary has been featured on such respected news networks as CNN, Fox News, Oprah Winfrey Network (OWN), HLNTV, MSNBC as well as appearing on CNN International, NowThis News, KPCC, DemocracyNow, Tom Joyner Morning Show and KABC Talk Radio w/ Dr. Drew. Sgt. Dorsey has been seen on Brazilian TVGlobo, Tavis Smiley, Dr. Drew, Dr. Phil and TD Jakes Shows. Sgt. Dorsey has also been featured on TV Crime Series; “It Takes A Killer”, “Corrupt Crimes” “Motive to Murder” and “Dead Files”. Cheryl Dorsey has written an autobiography entitled, "Black and Blue, The Creation of A Social Advocate" which chronicles her 20-year LAPD journey and advocacy suffered the loss of a loved one due to abuse of authority. Her next book "Black and Blue, The Creation of A Whistle Blower" is coming soon!